A CUSO Financial Services investor brought FINRA Arbitration #19-00394 on February 13, 2019. Primarily, the customer contended that Shanks advised the customer to buy loan and interest agreements. Namely, Shanks did not offer those investments through CUSO Financial Services, but instead through a third party. Secondly, the customer claimed that Shanks breached his fiduciary responsibility to the customer. Thirdly, the customer contended that CUSO Financial Services did not supervise Shanks’ recommendations and investment solicitations. Because of this, the customer demanded $688,000 in damages in this pending matter. A customer of CUSO Financial Services disputed Shanks’ sales practices in bringing a March 7, 2018 complaint. Supposedly, Shanks sold the customer investments CUSO Financial Services forbade. Namely, Shanks allegedly arranged for the customer to buy notes or loan agreements away from CUSO Financial Services. Eventually, after reviewing the matter, CUSO Financial Services chose to pay the customer $67,250.00. However, the firm did not admit liability in settling the matter June 6, 2018. A CUSO Financial Services customer brought a complaint on September 12, 2016 concerning Shanks’ variable annuity sale. Supposedly, Shanks did not structure the customer’s annuity appropriately. Because of this, the annuity purchase did not achieve the customer’s investment objectives. Eventually, on June 2, 2017, the firm agreed to pay the customer $24,731.97 to put the customers claim to rest. A customer of CUSO Financial Services brought FINRA Arbitration #15-01036 on May 15, 2015. According to the customer, Shanks sold the customer REIT investments without fully explaining how they worked. Supposedly, Shanks did not discuss the risks of the REIT investments when the customer purchased them. Because of this, the firm settled the customer’s claim by compensating the customer for realized losses and interest. At least one of the complaints reported on Shanks’ FINRA BrokerCheck report indicates that Shanks may have been involved with former CUSO Financial Services broker, Conrad Tambalo Bautista, who FINRA barred in all capacities. Specifically, Conrad Bautista executed a Letter of Acceptance, Waiver and Consent #2013035824101 on May 9, 2013, which FINRA accepted May 14, 2013. Namely, FINRA found that Conrad Bautista violated FINRA Rule 8210. Notably, Conrad Bautista did not provide FINRA information and documents relating to a customers complaint. Evidently, FINRA investigated whether Conrad Bautista engaged in a fraudulent investment scheme. Have you experienced losses by investing with CUSO Financial Services broker Eric Olin Shanks? 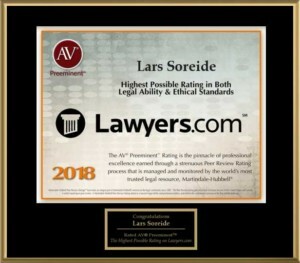 If so, contact Soreide Law Group at (888) 760-6552 and speak with experienced counsel about a possible recovery of your investment losses. Our firm has recovered millions of dollars for investors who have suffered losses due to broker and brokerage firm misconduct. We represent clients on a contingency fee basis and advance all costs.